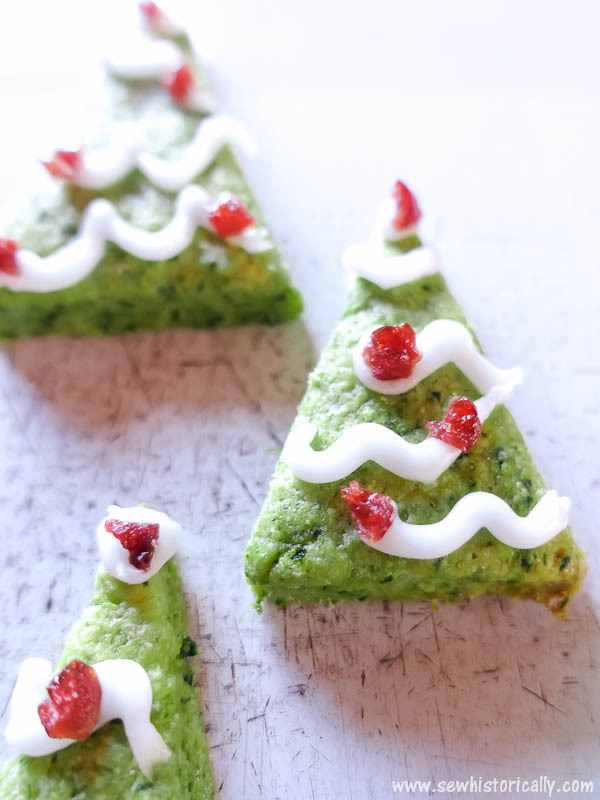 These festive red and green Christmas cookies taste as delicious as they look. 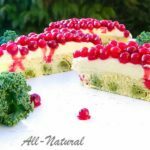 And what’s best: they’re made without artificial dyes – they’re all naturally colored with curly kale leaves. 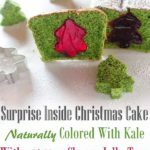 And even if the Christmas tree cookies are brilliant green, they don’t taste of kale – they taste just like classic Christmas sugar cookies! Knead together flour, butter and sugar. Then dye the shortcrust dough green with kale puree. Roll out the dough on a lightly floured surface to 1/4″ (1/2cm) thick. Cut the dough into triangles or cut out trees with a tree-shaped cookie cutter. 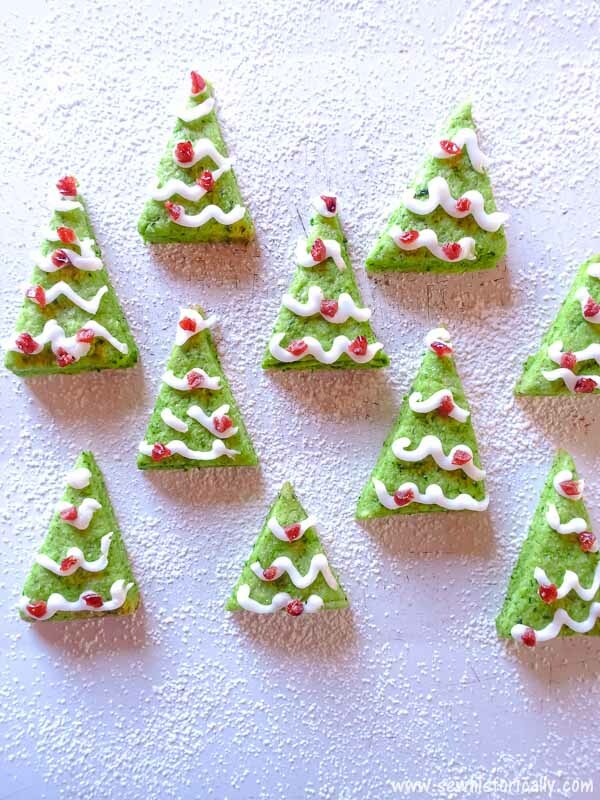 Bake the Christmas tree cookies for 12 minutes. Stir together powdered sugar and enough hot water until the icing is thick but pourable. 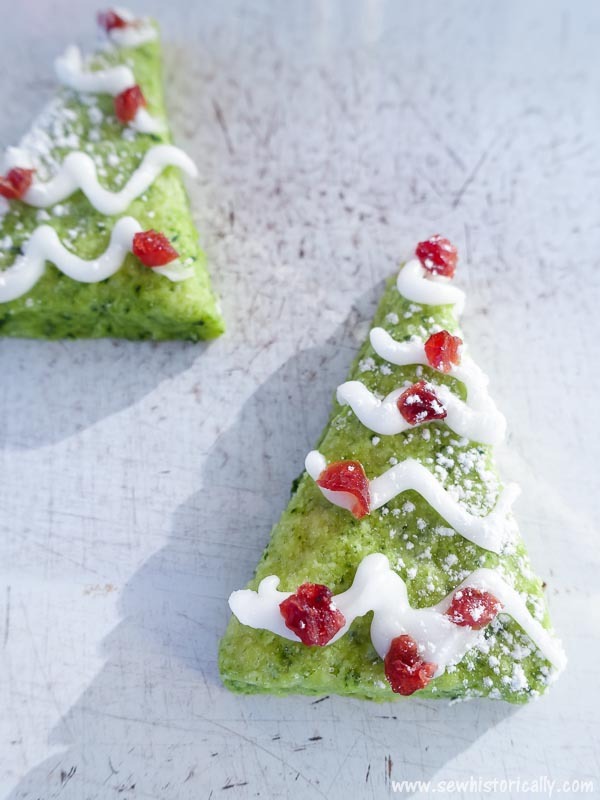 Decorate the naturally green Christmas tree cookies with icing and cranberry pieces. 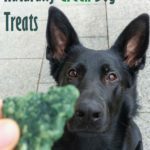 I love this idea of naturally coloring the cookies with kale. Great post! Wow, great idea! I always have kale in the house, especially for my bunnies, and for our salads too! I may have to give this a try! Thanks for sharing! 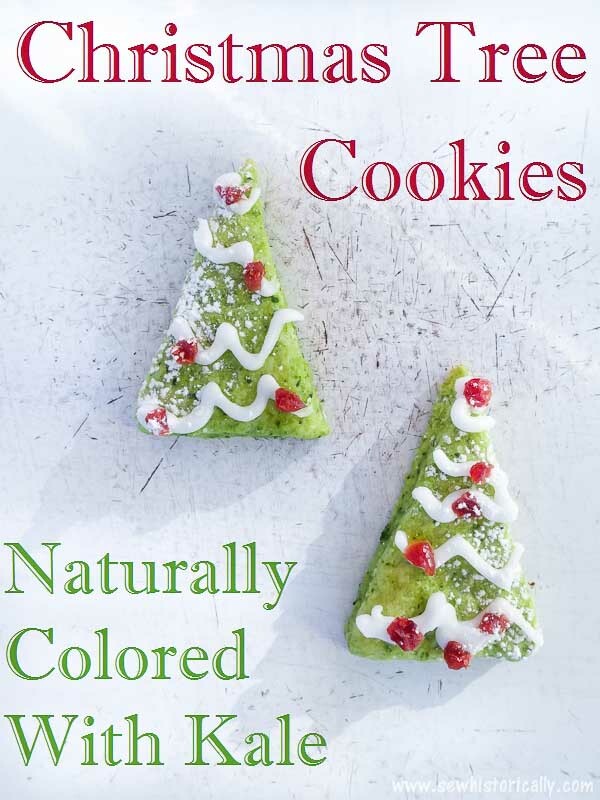 I love that you used natural dyes to make these festive cookies. The recipe looks easy, too! Thanks for sharing at Fiesta Friday! Really nice idea to use kale. 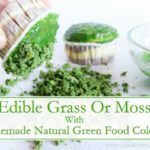 Wow Kale color – new idea. Thanks for sharing at Fiesta Friday. 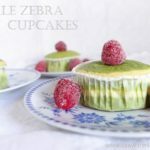 I would have never thought to use kale paste as a food coloring in cookies. What a fantastic idea! These look delicious and very festive. Thanks for sharing! Thanks for sharing at the What’s for Dinner party – have an amazing, relaxing week!